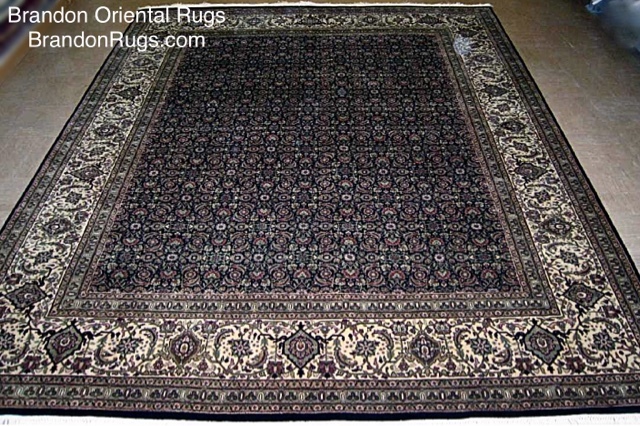 In no time at all, the superhero oriental rug dispatches the shag rug invader back to the mop factory it looks as if it came from. 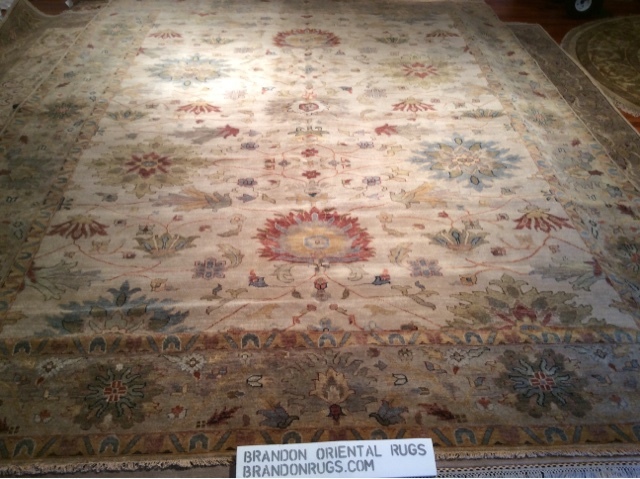 The home is again safe from "FAUX-nee" rugs. 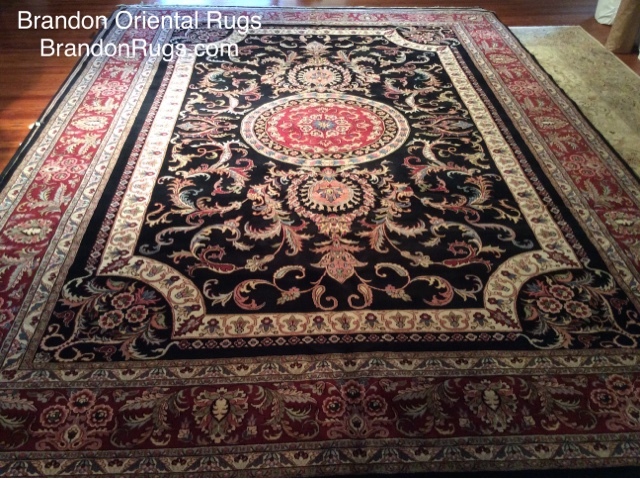 Great deals on the GREAT BIG rug you've been looking for. 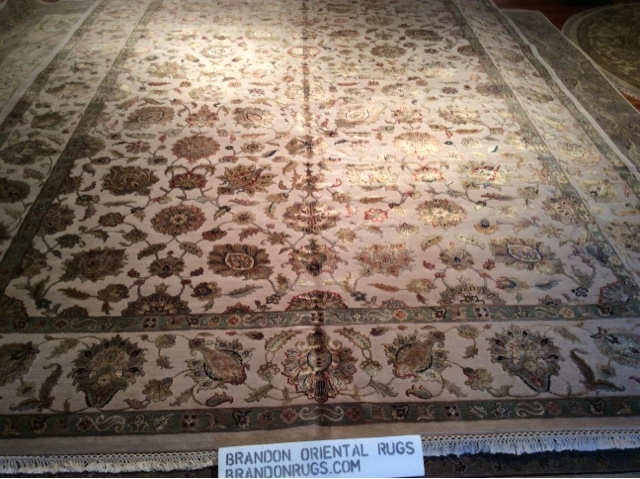 Complimentary delivery and installation with padding included with all of the rugs in this sale. 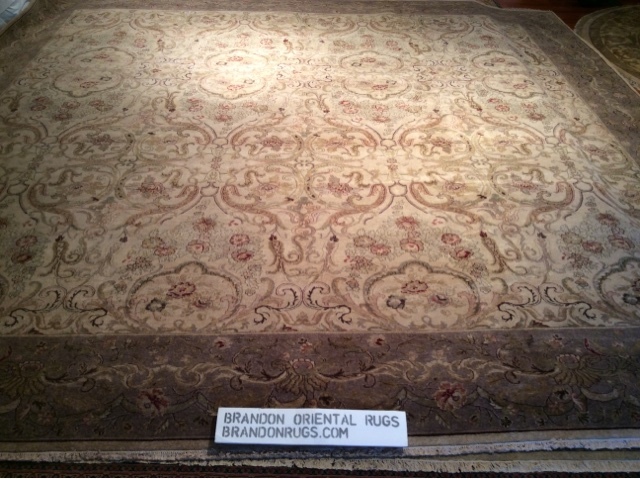 Plus, get to see your selection(s) in your home before buying. 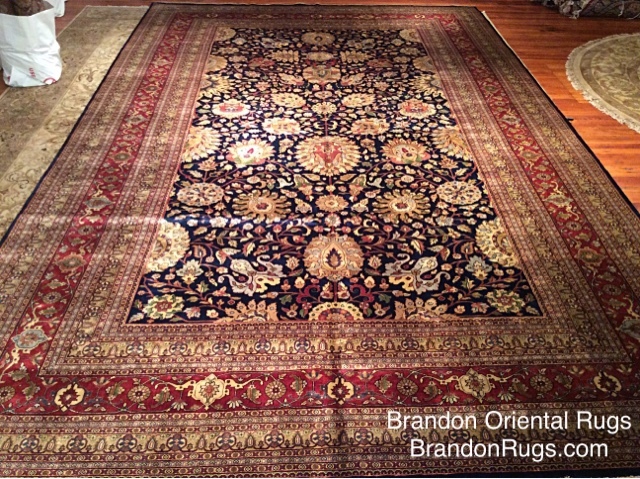 All of the rugs in our Persian (Iranian) Rug Sale (continuing through October 2015) are included in this special 25th Anniversary promotion at Brandon. 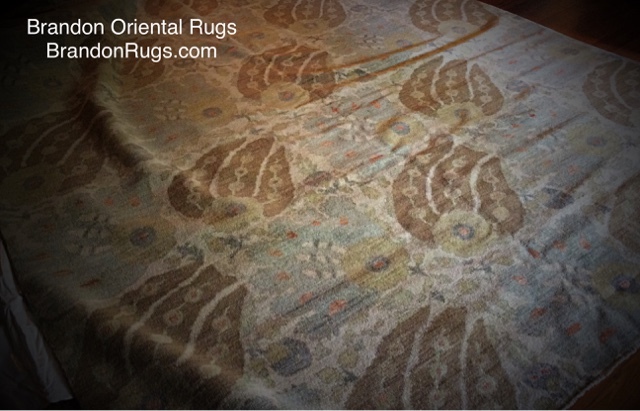 More available and arriving every week in various styles, and colors. 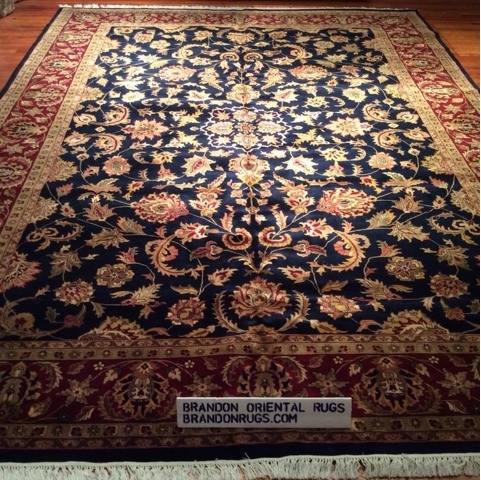 The before and after pictures shown here demonstrate the vast improvements in the appearance of our Chalfont, PA customer's twenty-five year old 90-line Chinese rug as a result of using Brandon Oriental Rugs cleaning and repair services. 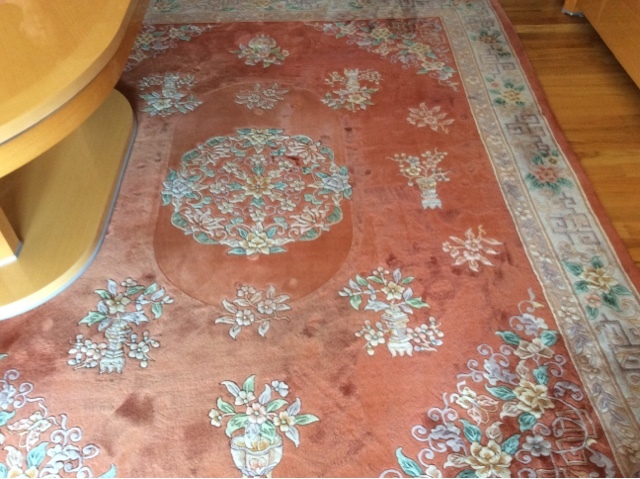 BEFORE pictures show severe furniture impressions (table and chair legs) and multiple food stains/spots on the rug. 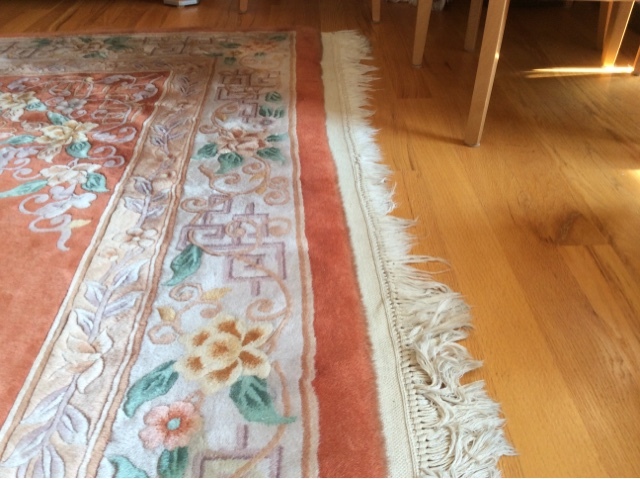 Wear and tear on the fringe from years and years of being caught in the vacuum's beater bar left what remained looking shabby. 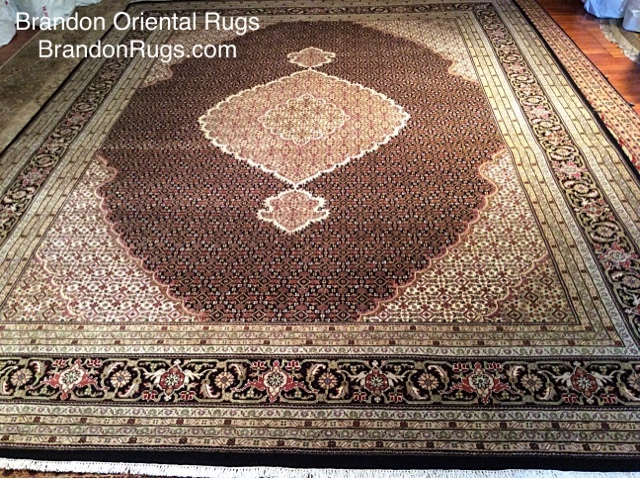 That led to our customer's request that the rug be refringed. 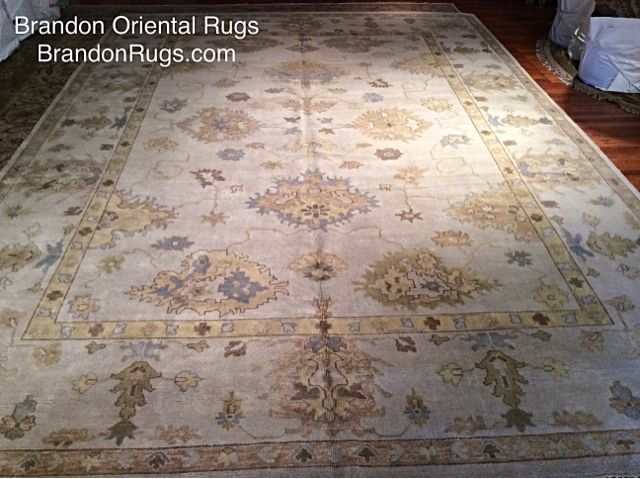 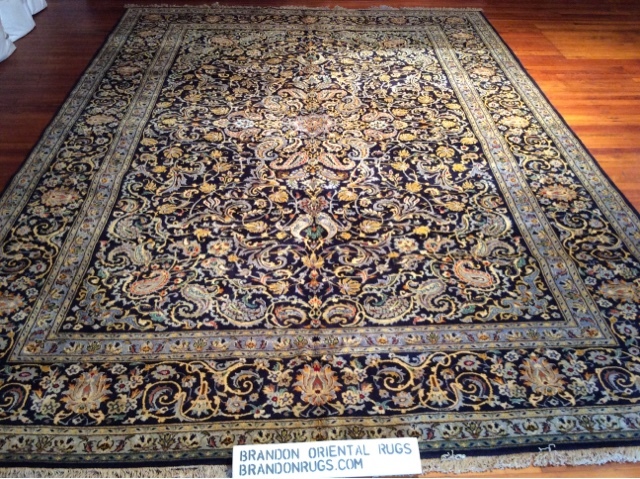 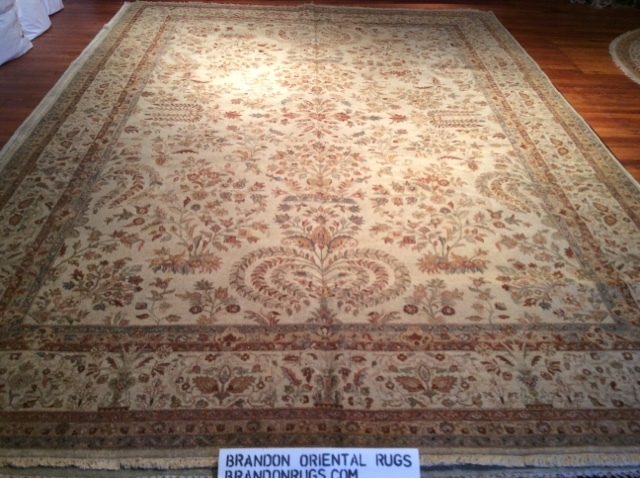 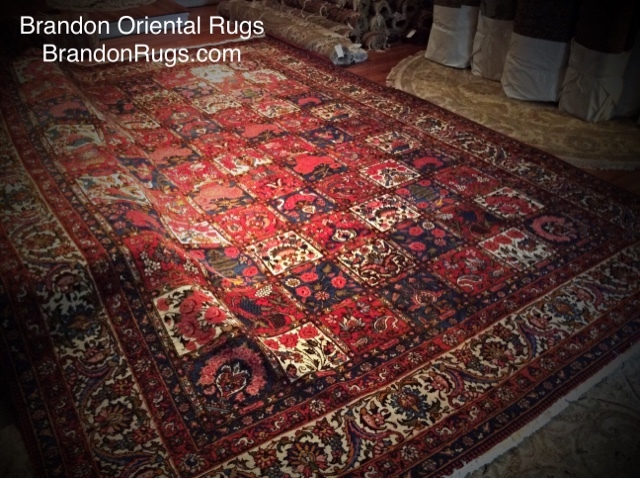 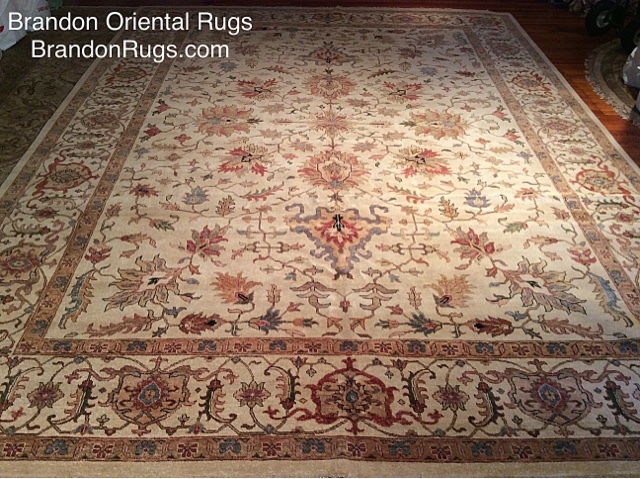 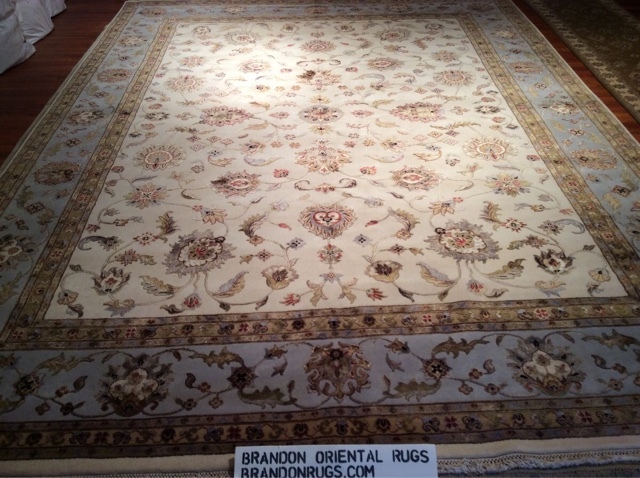 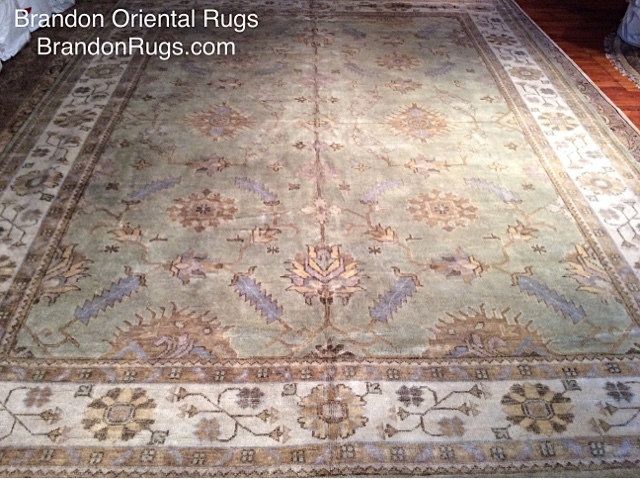 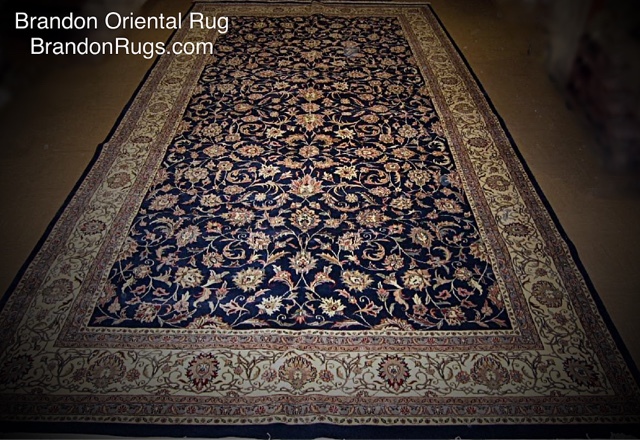 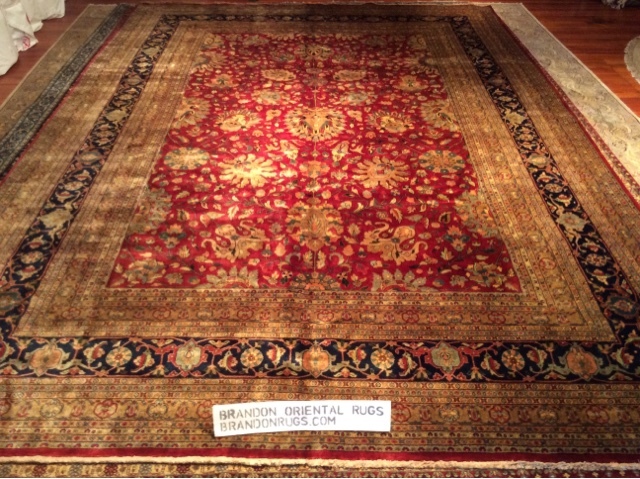 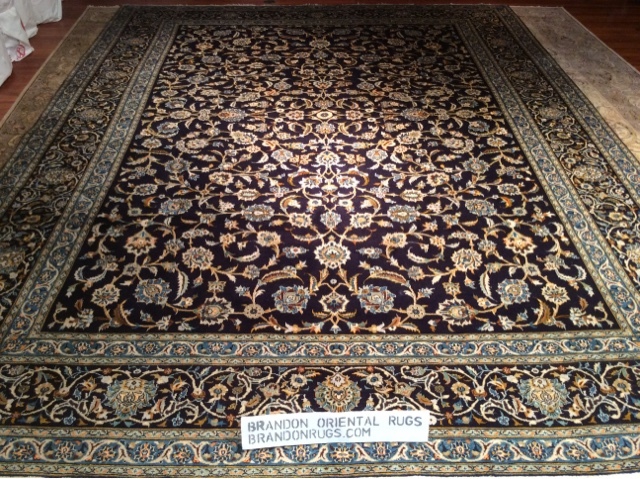 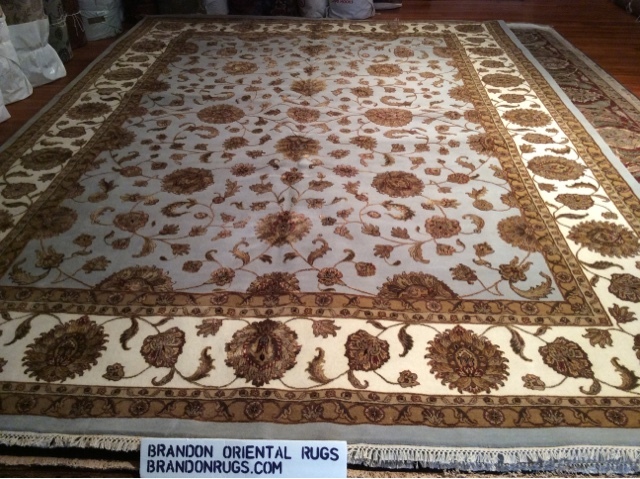 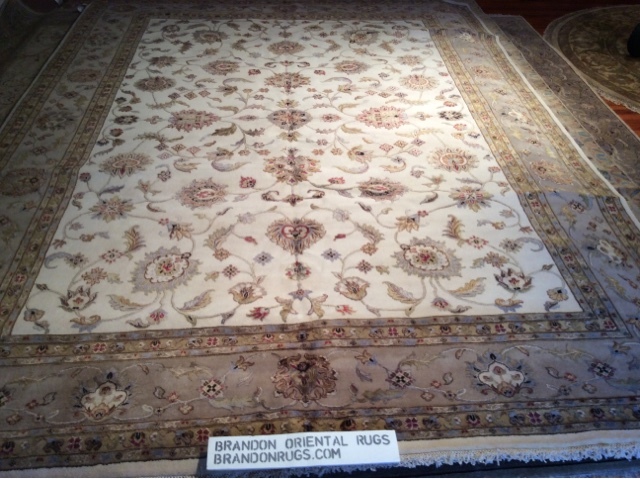 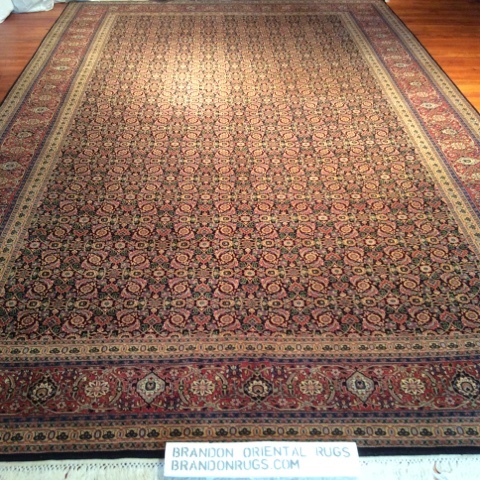 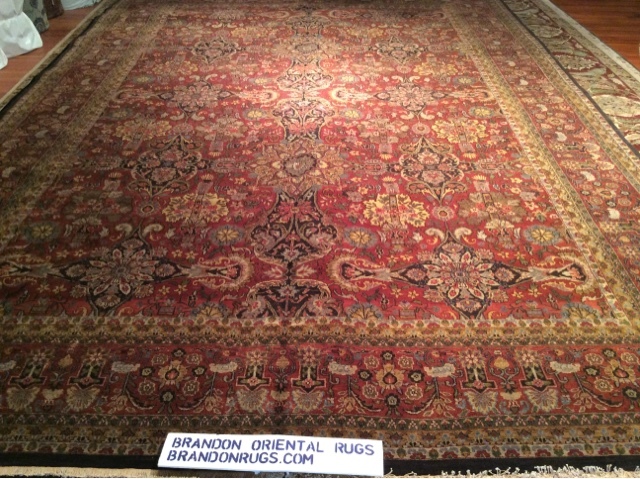 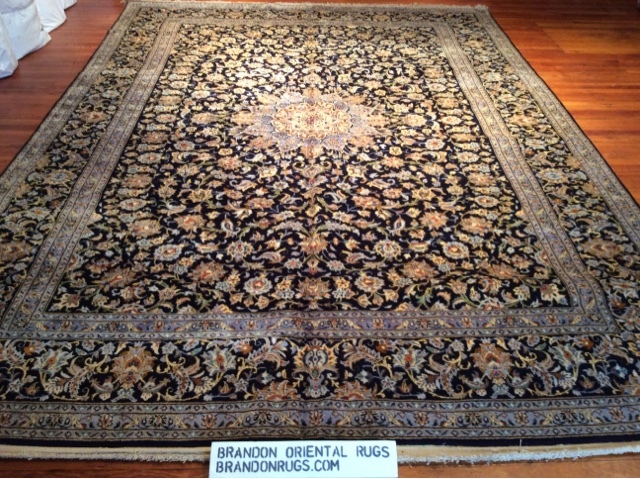 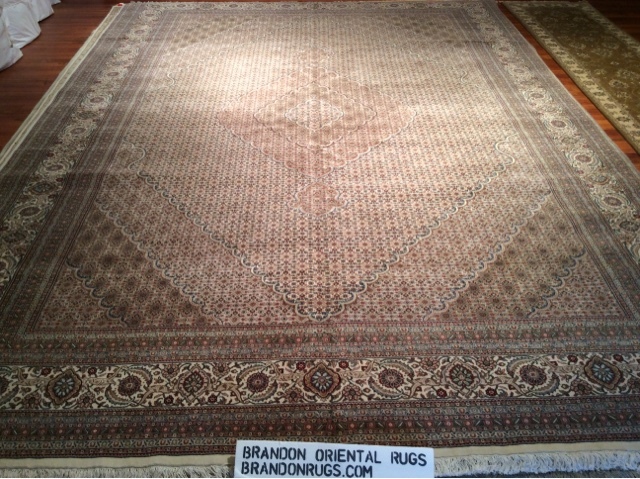 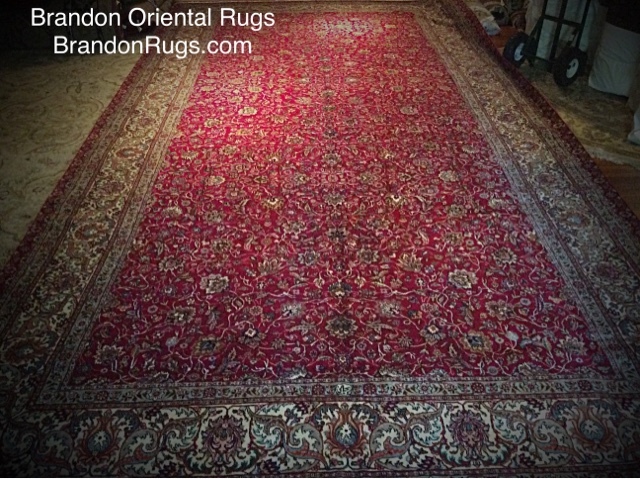 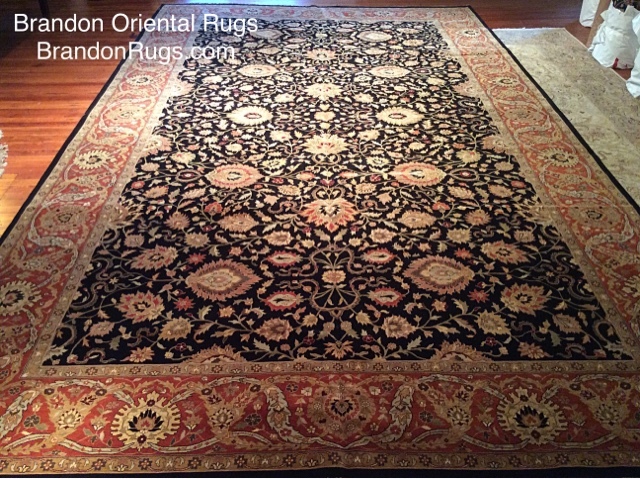 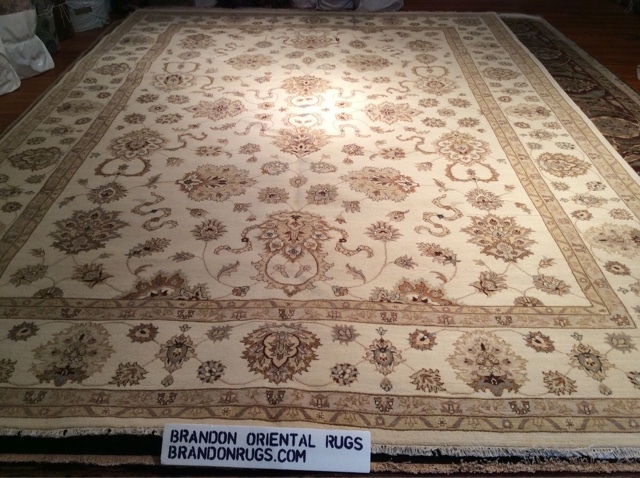 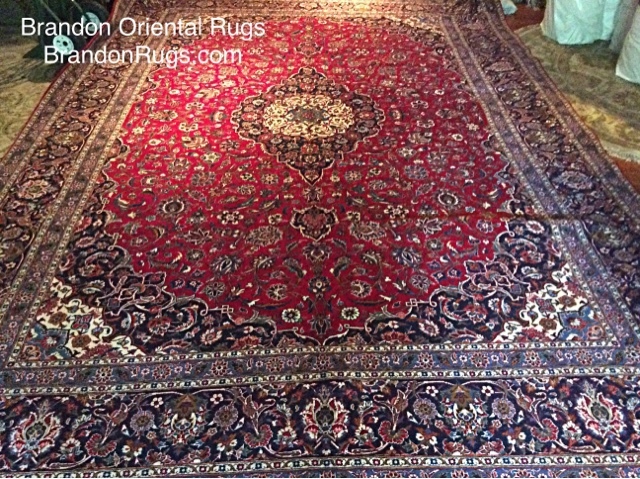 AFTER Pictures show how much has been done to improve the appearance of the rug by having it professionally cleaned by Brandon Oriental Rugs' cleaning service. 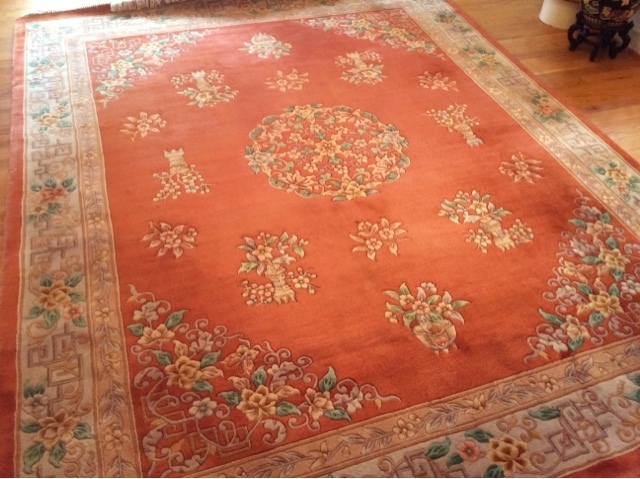 Furniture impressions (that look as if they'd been carved into the rug) have vanished. 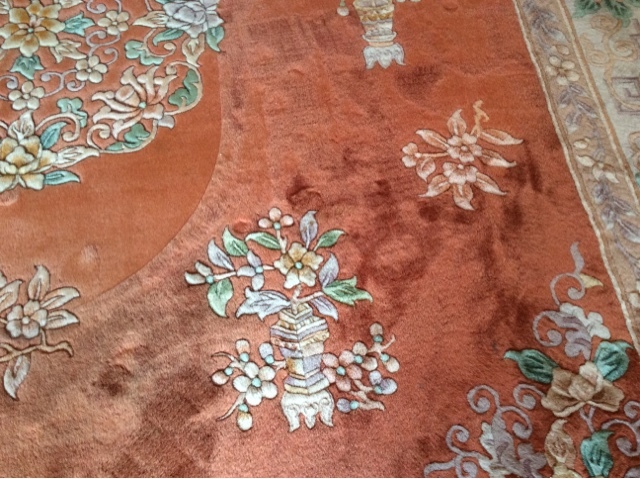 The mottling of the pile by wear and dirt has been significantly reduced. 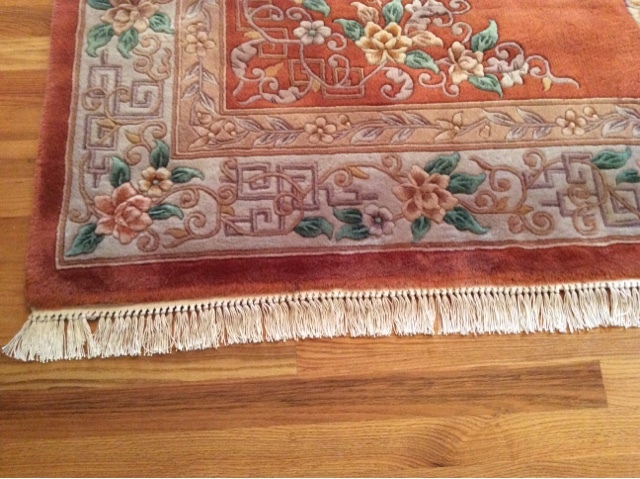 And thanks to the repair wrought by our expert artisans, the fringe ends of the rug look good as new. 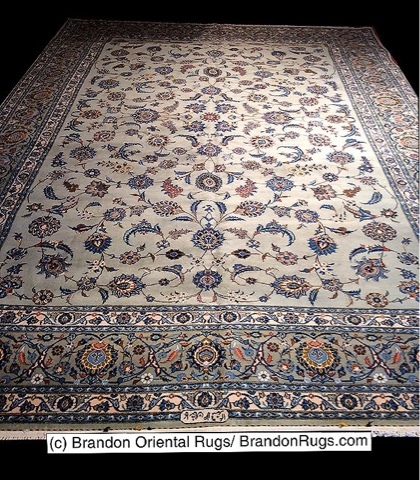 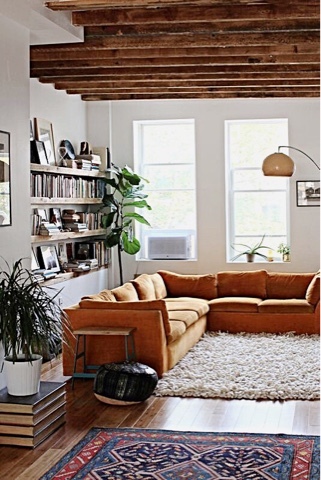 What doesn't show -- but is most critical for the rug's health -- is the fact that in the cleaning process it has been reinforced with protection against infestation by moths and carpet beetles; and been deodorized of all the scents it had accumulated and developed through the years as a passive bystander in your home's micro-environment. 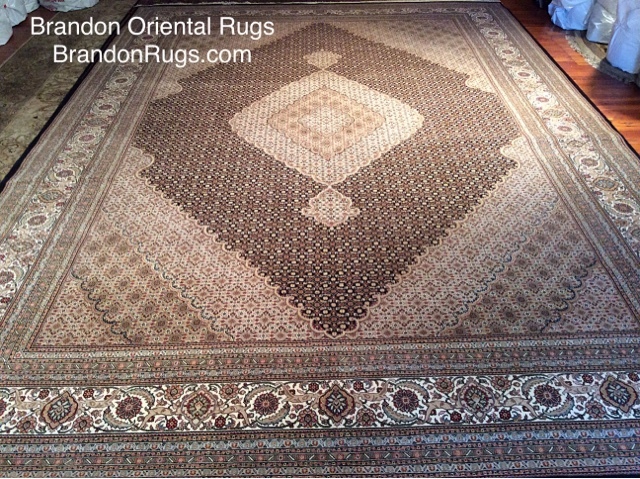 This rug is looking good for another quarter century of hosting family and friends seated in the company of its proud owner at the dining room table.